Why does root canal treatment take so long? How many visits will be needed? Who will do the tooth crown or filling on top of the tooth? How soon after root canal treatment should I have a new crown placed? What are likely success rates? My tooth has been root canal treated and it still hurts. Why? Why can't my regular dentist do the root canal treatment? How long will the root canal treatment last? Root canal treatment on a molar tooth will normally take from ninety minutes to three hours. Some complicated cases may take longer. Root canals are often complex structures and may be very fine. It is not uncommon to find four or five canals in a molar tooth, the finest of these often being less than .05 mm in diameter. All of the canals and interconnecting fins need to be cleaned of pulp tissue and bacteria. This is done with various medicaments and modern superelastic files. The medicaments need time to be effective at dissolving all of the pulp tissue and killing all of the bacteria. Sometimes an anti-bacterial dressing will need to be placed in the tooth for a period of one week to kill resistant microbes. A temporary filling will be placed in the tooth during this period. Most simple cases that have not been root canal treated before can be completed in one visit. More complex treatments and particularly retreatments may require two or three visits. 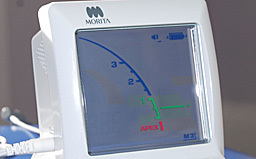 A more accurate assessment can be given if your dentist sends a preoperative x-ray. Who will do the crown or filling on top of the tooth? Your regular dentist will do this after completion of root canal treatment. As a specialist, my practice is limited to endodontics and I am not equipped to perform routine dentistry. The permanent crown or filling is as important to the prognosis of the tooth as the root filling. In the majority of cases, the tooth should be permanently restored with a crown or filling as soon as possible. Delaying this can allow the inside of the tooth to become recontaminated. In some cases with a questionable prognosis, the provision of a crown may need to be delayed. Well controlled clinical studies that have been published in dental journals, report success rates of around 90% for first time root treatments done by specialists or within a hospital environment. These success rates are reduced to about 80% if the tooth has already been root canal treated. The only studies to give an indication of general success rates are epidemiological (epidemiology; the study of disease within a community) studies. Reported success rates are generally much lower at 50-60%. - free of all symptoms and signs of disease (no evidence of disease either clinically or on an x-ray) and remain functional. This means that technically, if healthy bone does not reform around the root of a tooth after root canal treatment, the root treatment is considered a failure, even if the tooth is symptom-free and functional. It would be normal to keep such a tooth under observation as many of these cases remain stable. It is normal for teeth to be sore for a days after root canal treatment. Some teeth, particularly ones that have been problematic for a while, may take a few months to settle. This discomfort is normally from the inflamed supporting tissues. Hot or cold sensitivity should not be present and is an indication that there is still some pulp tissue remaining. Sometimes this sensitivity may be emanating from another tooth. About 3% of infected cases will 'flare up' after treatment. Inevitably, in all infected teeth, bacteria are pushed through the end of the root during root canal treatment. These bacteria will be very small in number, but if they are virulent enough, they may spark the inflammation around the root into action. Typical signs and symptoms will be pain and swelling. This problem is transient and is normally helped with a course of antibiotics. It has no bearing on the long term prognosis. Root canal treatment can be a technically demanding procedure. 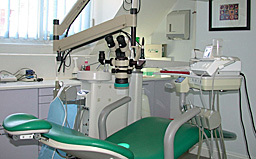 Some general dentists prefer to refer complex molars or retreatment cases to specialists. Research suggests that specialists have high success rates. A specialist has the training, equipment and expertise to tackle these cases more predictably. 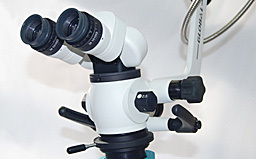 Some of the equipment, particularly the surgical microscope takes a long time to learn to use effectively. Although we have a good idea of short term success rates for root canal treatment, we do not know what the long term failure rate is. This is because it is very difficult to follow up a sample group of patients for periods of 20-30 years. Any research of this type would be useless unless at least 50% of the patients could be reviewed at the end of the study. In today's increasingly mobile society, this is a challenge. Anecdotally, it would appear that long term failure of technically good root canal treatments does not seem to occur in well maintained mouths. These teeth are more likely to be lost because they fracture or of gum disease, than because the root treatment fails. An endodontist is a dental surgeon who specialises in treating endodontic problems (endo-within, dontic-tooth). In general, this involves root canal treatment. In general he/she will have undertaken specialist training. The purpose of root canal treatment is to remove the inflamed tissue or bacteria inside the root canal and thus allow the surrounding tissues to heal.